Nio is an electric car company based in Shanghai China. It is a pioneer in China’s premium electric vehicle market, has been named #5 in Fast Company’s prestigious annual list of the Most Innovative Companies in China for 2019. 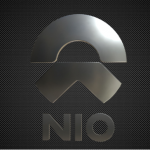 The company (Nio) was established in 2014. NIO Inc made its name by developing the “EP9” supercar. The two-seater ran the Nürburgring Nordschleife in just 6 minutes 45.9 seconds, setting a record for electric vehicles (EVs) on that track. 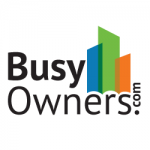 The company then entered the premium electric vehicle market in China with the “ES8,” an all-electric, full-size SUV that can seat seven passengers. NIO plans to launch the “ES6,” its five-seater SUV, by the end of this year. Analysts offering 12-month price forecasts for the stock price of Nio Inc have a median target of $56.23 from the last price of $8.17.